The incredible Shawn Klush first exploded onto the UK scene when 6 million viewers tuned in to see him crowned 'The World's Greatest Elvis' live on BBC One. Soon after, Shawn was also crowned the first-ever 'Ultimate Elvis Tribute Artist Champion' in Memphis, Tennessee. 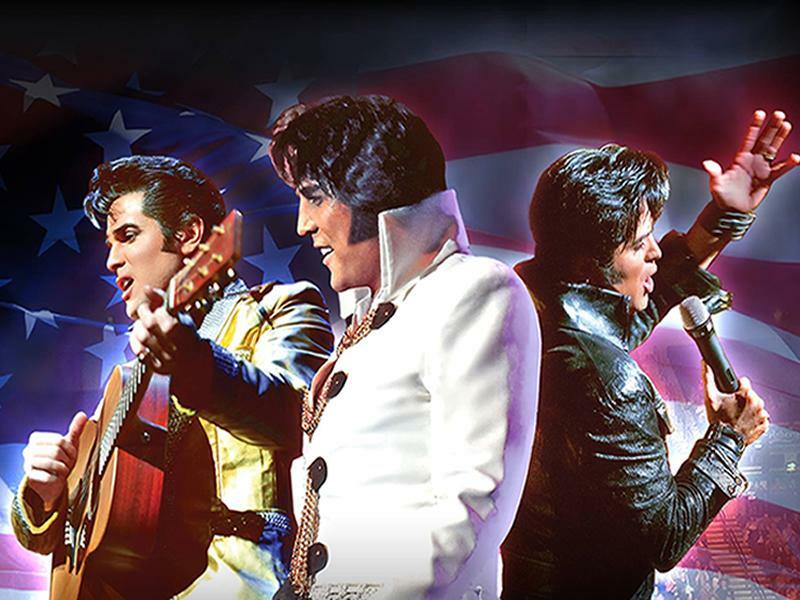 Fellow American Elvis tribute, Dean Z, is known for his exceptional Comeback Special, which is featured in the show. He is also a grand champion of the prestigious EPE Ultimate Elvis Tribute Artist Contest (2013) and star of the famous Las Vegas show – Legends In Concert. The show also features EPE's reigning Grand Champion, Ben Thompson, who joined the ranks of winners of this prestigious competition with his extraordinary performances in 2018. From the UK, Ben has secured his place as a world-class ETA, and this tour is the only UK show featuring these three celebrated tribute artists in one phenomenal show. All backed by an incredible live band & orchestra. While we take every opportunity to ensure the details for Elvis Tribute Artist World Tour are accurate, we always advise that you contact the event organiser before setting out for the event to avoid disapointment.